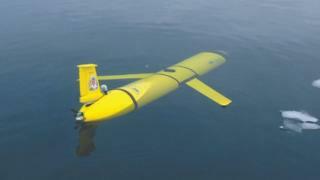 A way for submerged submarines to communicate with planes has been developed by researchers at MIT. At present, it is difficult for planes to pick up underwater sonar signals because they reflect off the water’s surface and rarely break through. The researchers found an extremely high-frequency radar could detect tiny ripples in water, created by an ordinary underwater speaker. This could let lost flight recorders and submarines communicate with planes. Submarines communicate using sonar waves, which travel well underwater but struggle to break through the surface.